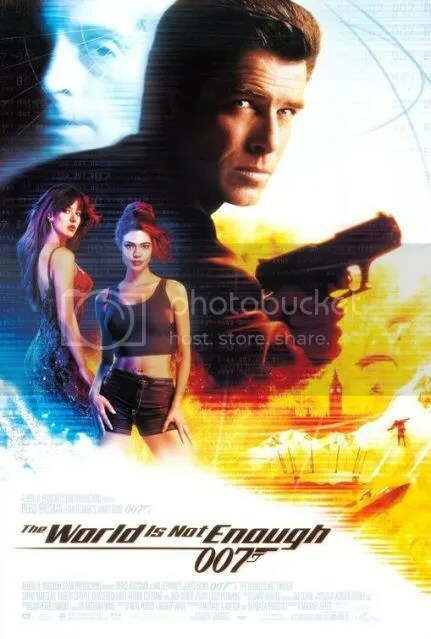 James Bond uncovers a nuclear plot (he’s good at finding them isn’t he) whilst also protecting an oil heiress from her former kidnapper Renard an international terrorist who cannot feel any pain. This is the third time out there for Pierce Brosnan as Bond and he does seem very comfortable in the role. He gets quite a few more one liners in this one, or at least it seemed like he did. Maybe the one liners were just better than he has previously had? As the film wasn’t all that great as a whole and I will admit that I did zone out at times it wasn’t the most engaging of films or Bond films for that matter. Not entirely sure why that is though, can’t really put my finger on it. Once again a very poor theme song, like in all honesty I had never even heard it before watching the film. The best and worst moment came all as one in what was Desmond Llewelyn’s final moment as Q. Honestly such an emotional one, “always have an escape plan” and that’s it he’s gone. After all of those years and all of the films, how it is not going to be the same without him telling 007 to grow up. I know this will all probably sound a bit crazy but he was such an incredible character and a joy to watch from the first to the last moment. Getting some fantastic lines over the years as well. The Bond girls were nothing special either and didn’t offer anything new. I did like that M had more screen time as Judi Dench seems a driving force. That created a good rescue mission for Bond in-between everything else. Have to admit though I thought it was a little bit emotional when M watched him kill someone, especially when he had feelings for her. He did show some compassion, quite a good build in his character in all honesty. Brosnan is comfortable as Bond, but hasn’t done enough to win me over and become my favourite actor in the role. Actually I don’t think he is anywhere near the top of the list. Not really sure why but at times he just doesn’t feel like 007. Robert Carlyle is an interesting bad guy who is already dead so feels no pain, good way to have a bad guy makes him very ruthless. Only problem is that he slips occasionally into his Scottish accent, although I did find that slightly amusing. I think the last line is a big rival to “Keeping the British end up” (Moore) when “I thought Christmas came just once a year” – extremely cheeky and I cannot help but find those little jokes so funny. Wondering how they manage to get away with them. Although I know the rating of the more recent films is 12 and not PG. Because let’s totally face it and admit it, we all have dirty minds! Musical Moments – Moulin Rouge! The final line seems to be quite decisive online. I’ve heard a lot of people saying that joke went too far but I highly disagree haha! I also love the “I never miss” line as Bond killed Sophie Marceau. That was a really cold kill that kind of deserves to be in a better film. I remember the first time I understand that line haha! I watched this one loads as a kid and never thought anything of it. When I revisited it I almost fell off my chair! That’s the best thing about rewatching films isn’t it, when jokes and lines like that turn out to be something totally different!